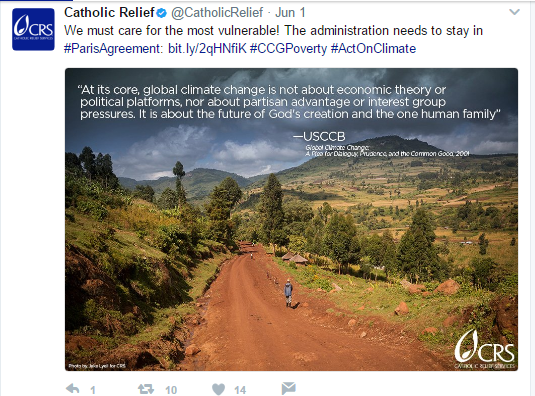 TORONTO CATHOLIC WITNESS: If only bishops were as concerned about sin as about "climate change"
If only bishops were as concerned about sin as about "climate change"
When U.S. President Donald Trump announced he was pulling his country out of the Paris Accord, there was an explosion of vitriol and anger. Joining the Internationalists and the Global Elitists was the Pope of Rome, many of his leading Cardinals and a large motley assortment of strident US bishops, as well as bishops from the usual suspect first world countries. Readers may recall the SILENCE by Cardinal Dolan, Chairman of the US Bishops Right to Life Committee, following Hilary Clinton's hysterical outburst during the final Presidential Debate, where she stridently supported the killing of babies as they are actually being born. These sadistic butchers like to call this form of tortuous murder, "partial birth abortion". Yet, Dolan remained silent. The US bishops remained silent. Homosexualist, jet-setter and Franciscan dissenter pipes up! The result of the American Hierarchy's near universal silence, and the tremendous effort of dissident religious Orders such as the homosexual riddled Jesuits, Franciscans, Dominicans and Christian Brothers to get Clinton elected still nearly succeeded. Now, Mr. Trump is certainly no ideal candidate, but he is seemingly a Patriot who despises the Global elites. I am not naive, and America is still headed where the rest of the world is headed - to be bound hand and foot and turned over to the Man of Perdition when his time comes that he be revealed. There are two international forces within the United States that no man can unmask and drive out. Both those powers - one originating two thousand years ago that orchestrated the crucifixion of Our Lord, and the other - known as Freemasonry - are simply too powerful and insidious. These powers hold America and western Europe in a financial and cultural stranglehold. Both of these powers contain inspiration and direction from the powers of darkness and no man, simply no man, can defeat them. Donald Trump ultimately does not incommode these men too much. In fact, allowing him a win here and there, can actually benefit them by lulling the population to sleep. Be prepared to see some sort of capitulation to "climate change" under the guise of a "better" deal. You have read it here first. Therefore, to defeat the traditional enemies of Our Lord requires Divine power. That power, in the United States resides with the bishops, but they refuse the graces offered them. Instead the vast majority of American bishops - just like those of Canada, western Europe and other first world nations - have turned their back on Our Lord and are really regional managers of a global enterprise to turn the Catholic Church into an arm of International Freemasonry for global governance. Thus we have a Pope obsessed with "climate change", we have occult and esoteric images beamed onto St. Peter's basilica, we have the Pope and bishops taking social policy instead of talking about sin. "Therefore, calls to limit carbon dioxide emissions are more premature today than 25 years ago. Future research should focus on dispassionate, high-quality climate science, not on efforts to prop up an increasingly frayed narrative of impending doom. Until research is unfettered from the constraints of the UNCCC (as it is not at present), the research community is failing its obligation to the public that is paying for this research". You will also notice, dear readers, that the rage against Trump is motivated by money. Trillions have already been invested on stock markets regarding "global warming". It is a self-fulfilling prophecy driven by international finance. 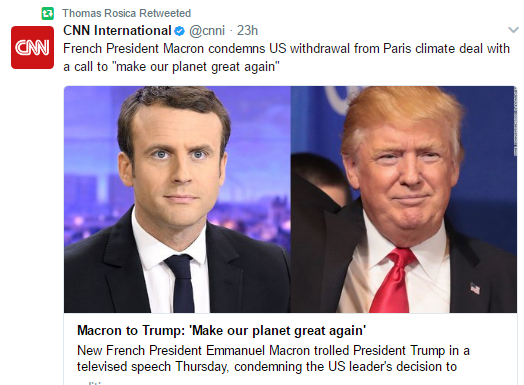 These climate changers are not the friends of the people, but super rich individuals who live in palatial residences and are jet setters. Truth to tell, there is not much difference between there life styles and those of many first-world religious Orders. We can all think of various priests and higher ranking churchmen who seem to do nothing but keep turning up in various countries, in Rome, living the high life. Not parish work for these men.